If you know how to find and utilize the trends that are taking place in the world, you can optimize your business idea for future success. Identifying trends can also lead you to think of new and innovative business ideas, if you do it right. In this article, you’re going to learn how to find reliable market research that identifies trends, and how to execute on that knowledge to think of new business ideas. Finding trends for your business idea can be hard. It is easy to waste hours downloading public data to analyze potential trends, and end up getting nowhere. However, it is necessary to keep up with the new trends out there to be at the top of the game. Finding trends can even lead to breakthroughs in your own idea. The kind of trends I am talking about is not the fidget spinner or slime type of trends. It can be useful to spot these little trends, but it won’t take you very far in the long run. The types of trends I am talking about are emerging technologies, changes in behaviours, and shifts in how things are done. 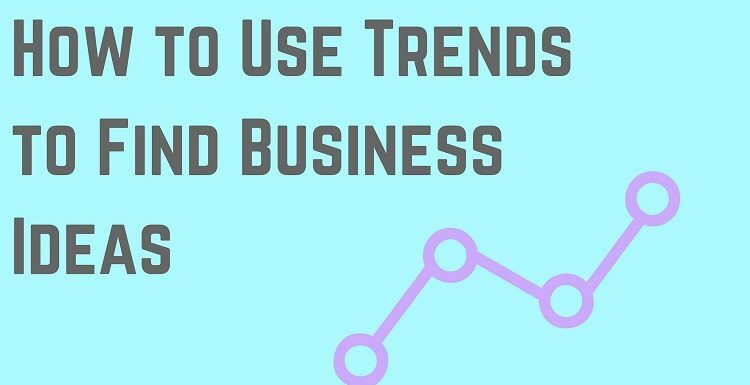 These type of trends will help you find niches or tools that can bring your business idea long-term growth. My favourite spot to find new business trends is from the large consulting firms. They produce top-notch research that is backed by reputable data. There are several other perks to this research. The first is that it is free, and obtaining the kind of information they present can be costly if obtained otherwise. It could also take you a significant amount of time to gather this information as well. Secondly, the research is reputable. These consulting companies have access to large amounts of data from their own business dealings, and they also pay for information that is reliable. It would be foolish to disregard this valuable information. To get you started, I’ve listed the top consulting companies and their research portals, as well as some links related to new business trends that will help you. 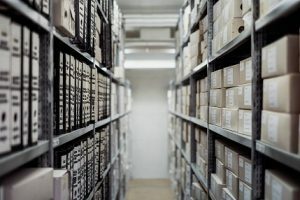 To inspire you, I’ve thought of a business idea from each piece of research using the techniques discussed in this blog. There is a growing demand from consumers for large companies to diversify into the electric car market. With this demand, there needs to be something to supply power to these cars. 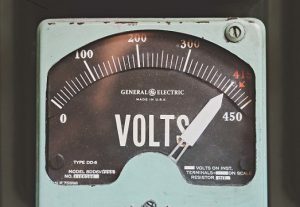 Utilizing already existing technology, you could outsource your services to people who would want to have an electric car charger installed and maintained in their home. With the huge impact, A.I. is going to make, this business idea is great if you are interested in getting involved in the restaurant industry. 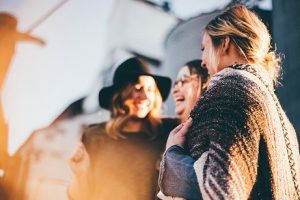 By providing a software that could learn about each customer’s experience, staff could be prompted to hand out coupons when people are happy or mad. Using custom software and cameras you can analyze this behavior and AI can act on it efficiently. This business idea would involve working with other companies to develop diversity strategies that can help employ the people in need. Using analytics in the workplace such as how interviews take place, promotions, and other key aspects could be useful and provide insight into these problems. Ultimately, allowing the company to diversity meaningfully with data to change the perceptions. If you setup a warehouse that contracted out its capacity to small local grocery stores, this would allow them to utilize a warehouse, at an efficient price, and not have to worry about the distribution side. The business idea would solve the problem of larger companies such as Amazon coming in and taking over the e-commerce grocery business. The task automation specialist business idea would come into existing businesses to setup systems utilizing A.I., to automate mundane tasks that a computer software could easily take over. This business idea would involve developing sophisticated software programs that would replace the employees performing these minimal tasks. Creating a computer program using A.I. that can identify common diseases in people would be a very useful business idea. Utilizing significant computer science skills and knowledge would be essential to this idea. This software could then be licensed or sold to hospitals and clinics around the globe. Helping other people develop soft skills such as creativity, innovation, problem-solving, collaboration, leadership, and adaptability will help them significantly in the future with jobs. With the automation of easy and mundane tasks, it will be crucial for employees to have these skills to excel. Employers are already demanding them as well. This business idea would help employees develop those core skills that the employers want. Business Idea – Predictive Maintenance Company. Using new technologies such as Bluetooth and the Internet of Things (IoT), you can setup all the sensors to track when something is going to break down, need replacing, or general maintenance. There is no reason someone needs to call to say their machine is broken. With the amount of data out there about products, they could use analytics to predict these things. This business idea would do just that. By helping other companies create more efficient operations, you could save thousands of dollars for them. Using the IoT technology, you can track the operational value of all the tasks that take place with inanimate objects and people to see the complete flow of work and goods. This business idea would make their processes more efficient. This business idea involves building a program or doing individual consulting that does the accounting and operations of the business. Making sure the business is paying taxes, complying with new licenses, etc. This would greatly help small businesses. Research – Business Opportunities in Northern B.C. 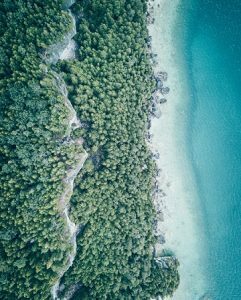 There is an increasing concern with environmental effects from new industrial projects in Northern B.C., and companies want to know the facts before they press forward. This business idea would involve knowing the environmental laws and dealing with multiple parties to build sustainable projects for the company that hired you. Worldwide, a market has been identified that is underserved in a severe manner. The technology used to protect some of the largest energy infrastructures is not up to standards to protect against potential hacks. This business idea would be a service that offers to build and maintain security systems for the energy and utility sector. This business idea would utilize the power of the highly talked about, blockchain technology. This business idea would work great in areas where solar technology is gaining traction, and people could buy and sell power through an energy grid controlled by the technology. Bitcoin could be the payment system as well. Provide insight and knowledge on how cities can become “smart”. This would involve integrating new and innovative technologies to support stronger renewable energies such as the internet of things, and driverless cars. 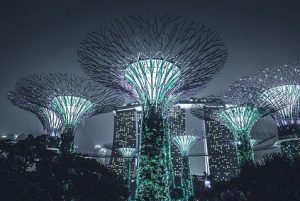 Many large cities are looking for answers, and it is becoming more important as ongoing urbanization continues, as the article states. This idea is not extremely new, but there is a lot of data pointing to significant profitability as an Internet service provider business idea. This would involve developing infrastructure (i.e. radio towers, fiber optic cables, etc) to provide people with internet. This business idea is targeted towards the Canadian auto insurance industry. It would involve installing a small computer to monitor speed and other important driving indicators. The insurance premiums would be based on the individuals driving ability and record, instead of the age bracket and type of car, etc. Google Scholar can be a great place to find new trends for a specific industry. Scholar is more reputable than Google News as you can have academic/ peer reviewed research which will be information you can trust. In two easy steps, you can find relevant information that will help you find trends. Step 2: Filter the information using the filter bars on the left had side of the screen to choose information that has only been out for the past five years. This gives you info that will be quite recent, and have relevancy regarding future trends. If the article/ research is too old, the trend the author is referring to will not be relevant. 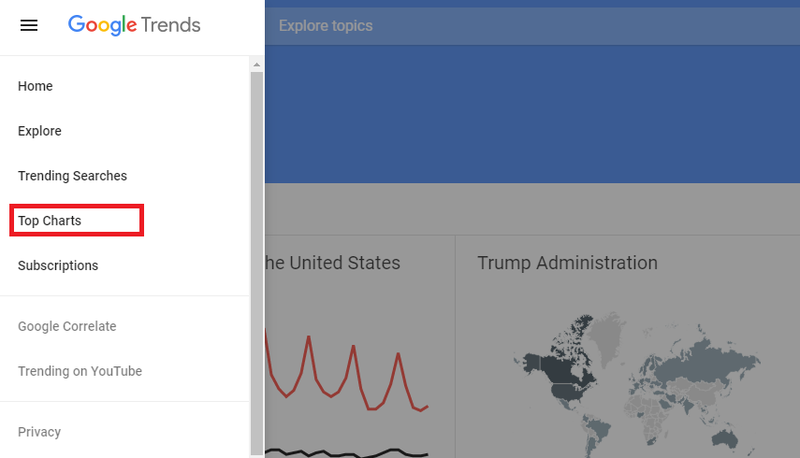 Although this way of finding trends is a bit more ambiguous and can take longer, it is surprising at the crazy insights you can find with this tool. To start, first go “Top Charts” in the sidebar. This will take you to the top searches by year and region. The number of searches done will give you a good indicator of what people are wanting to learn about. For example, if you go to that section, put in “Global” for the region, and “2016” for the time, you will see that Pokémon Go is at the top of a list. This could give you a sign that augmented reality is an emerging trend because it is making such a big search impact around the world. Another trend I see from this is the Zika Virus. This could give you a clue for a business idea to solve the problem of the Zika Virus by creating a medicine or preventative packages. There you have it, three different ways to find new and emerging trends in the world, and how to think of business ideas related to it. 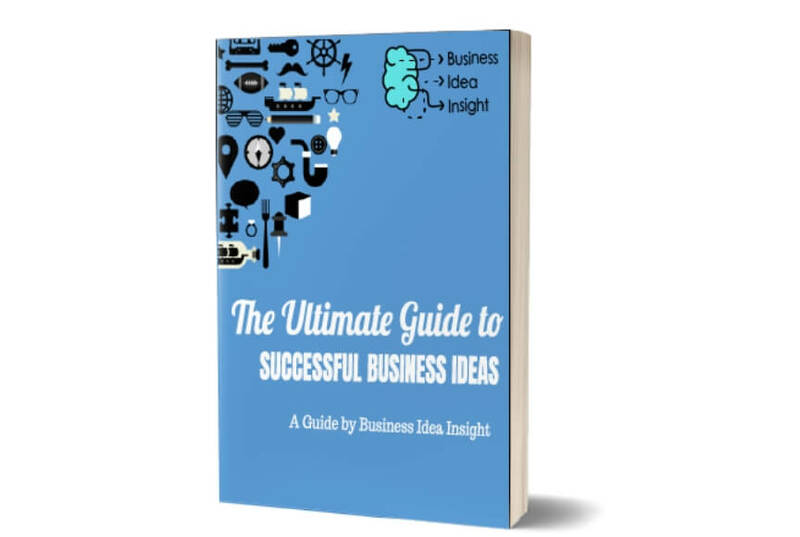 The business ideas associated should get you off to a good start as well. My favourite is using the consulting companies’ research, although I recommend all three to truly see what is out there. If you want more tricks and business ideas like this, be sure to subscribe below.